Welcome back from what we hope was a short work week and a holiday weekend full of sunshine, friends, and suds! Boulder County’s breweries haven’t slowed down in the days since the holiday and are continuing to spoil us local craft beer lovers with some unique beer releases and fun, educational events in the coming week. Here are the Beer in Boulder picks for five of the most exciting craft beer happenings over the next week in the county. We love a good face-puckering sour beer any day of the year, but there is something about the heat of the summer that makes a nice craft sour even more tart and refreshing. Head to Powder Keg Brewing Company in Niwot this Saturday for the bottle release of Quartet, an amber sour ale aged in Cabernet barrels for sixteen months with fruity black currant and jam flavors. There are 120 cases of this beer available, and they will be on sale for $12 each with a six bottle limit per person. One of Powder Keg’s most recent releases, the Fruitful Union back in May, sold out very quickly, so be sure to get there early! Pours of Quartet will also be available for those who are looking to relax in the taproom and sample all the sour goodness. What’s the only thing better than enjoying a Boulder County craft beer on a sunny summer day? We’ll tell you what, enjoying that craft beer in the company of puppies and kittens! This Saturday afternoon, head to Crystal Springs Brewing Company to support PawsCo, a nonprofit organization dedicated to the well-being and future prosperity of local pets in need. A portion of proceeds from the afternoon will go back to PawsCo, you’ll have the opportunity to meet animals in need of a home, and there will be an educational demonstration carried out by the President of PawsCo demonstrating just how quickly a car can get dangerously hot for pets in the Colorado summer sun. Stop by for a craft beer and to support a great cause! When you visit Avery’s taproom and adventurously order a smattering of tasters, are you brave enough to sample some of their intense, high ABV brews? Your cunning is rewarded when you visit Avery, and some of their most unique, envelope-pushing beers come with this high ABV tag. From the seasonal Pump[KY]n to the Rumpkin and many more, Avery is always looking to push the boundaries of what is capable and possible with craft beer. 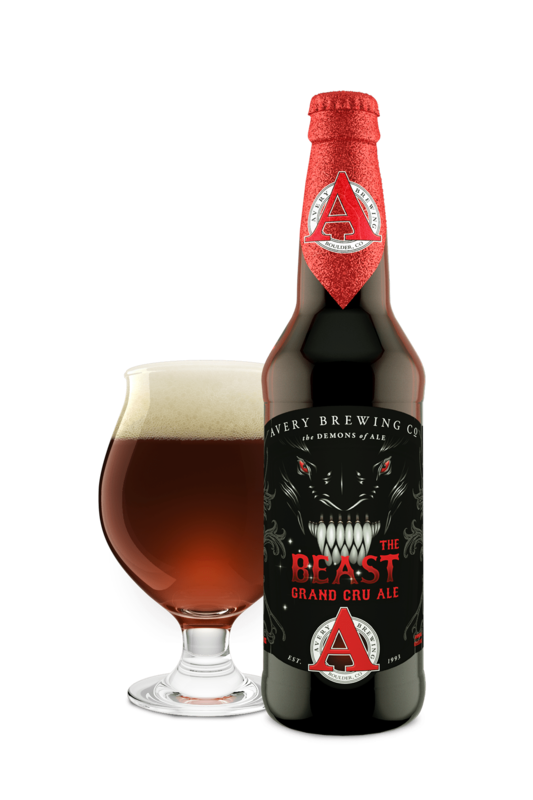 Avery’s new beer release this week follows the tradition of these strong and impressive beers. The Beast – Batch No. 14 is a 16.8% ABV brew that is oak aged and made with six hops, six malts, and six sugars. With the addition of maple sugar and muscovado sugar to this year’s batch, The Beast promises to be a delicious, albeit slightly intimidating, more-than-worth-it indulgence. We here at Beer in Boulder love a good lesson in history, and we figure what better way to continue the tradition of historical learning after Fourth of July weekend than to get educated on some of our country’s past through the lens of beer and brewing! Geared towards bringing women with an interest in and passion for craft beer together to further their knowledge about and discuss the industry, Ales for Females events have been happening since 2008. This month, Left Hand Brewer and history buff Carl Rose will be presenting on July 11th, 18th, and 25th, educating the group on the historical environment that has helped foster our current craft beer industry. Be sure to get your ticket for this event ahead of time, as it will likewise feature a beer and food pairing! Brewers here in Boulder County are craftsmen. Artists at the core, these brewers are creative and extremely knowledgeable about their beer. Oftentimes they’re likewise just as knowledgeable about the food that their beer would pair best with, and Boulder County plays host to a variety of mouth-watering beer dinners throughout the year. This month, BRU Handbuilt Ales & Eats, an artful and creative gastro brewery, is teaming up with Twisted Pine Brewing Company, one of Boulder’s longest standing breweries, for a seriously delicious and perfectly paired beer dinner. With meal courses such as Crispy Confit Pork Belly and Wood Roasted Clams from BRU paired with pale ales, saisons, and more from Twisted Pine, this dinner promises to be more than satisfying in every way. Be sure to call BRU for reservations! Subscribe to the Beer in Boulder weekly email so that you don’t miss out on a single Boulder County craft brewery event! Also be sure to follow us on Facebook, Twitter, and Instagram, for updates and exciting news about the Boulder County craft beer community. Cheers!